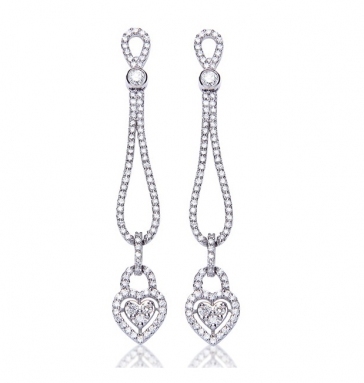 Stunning diamond drop earrings with heart design featuring 2.25ct of round brilliant cut diamonds. 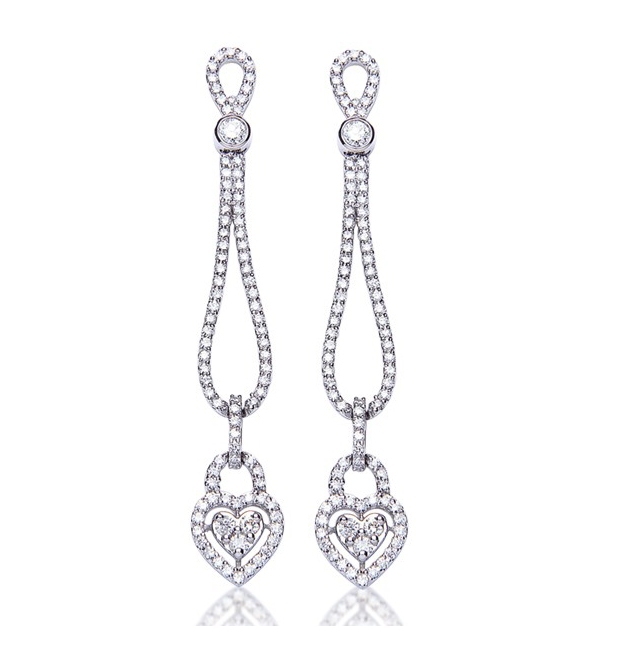 These beautiful earrings are expertly crafted from solid UK hallmarked 18k white gold using quality certified H/SI diamonds. Delivered free with a luxury wooden gift box, authenticity certificate and a full 12 month guarantee.